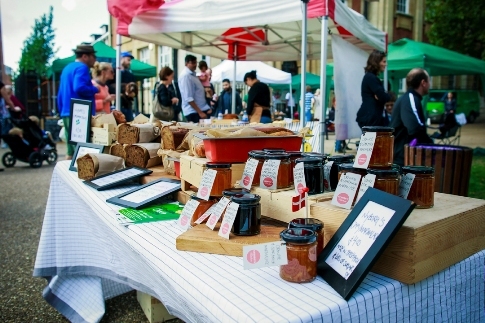 There’s no better way to spend your free time than wandering round Tottenham’s colourful markets; picking up fruit and vegetables, fresh fish, artisan baking, cool crafts and tucking into delicious street food. Holcombe Market, opposite Bruce Grove Station, has been trading in the area for nearly 100 years. The market is open six days a week, from Monday - Saturday. Stalls include Hall’s Greengrocers, Thompson’s Seafood, Prestige Patisserie and Brown Eagle (Caribbean food). The improvements to Holcombe Market have been funded by the Mayor of London and Haringey Council as part of the Growth on the High Road Programme. This programme aims to improve the environment, support businesses and improve the town centre in Tottenham. Tottenham Green Market runs every Sunday, 11am - 4pm on Tottenham Green, N15 4RY. It celebrates the diverse street food, produce, drink, crafts and vintage goods from the local area and beyond. Each week there are free Activities for the kids and the grown ups, so there's always something to do. For all the latest updates visit the Tottenham Green Market website (external link). Tottenham Green underwent a £1.5m makeover in 2014/15. The improvements to the Green have been funded by the Mayor of London and Haringey Council as part of the Growth on the High Road Programme. This programme aims to improve the environment, support businesses and improve the town centre in Tottenham. Seven Sisters Market hosts some 40 individual businesses, many of whom are Hispanic or South American. They include: cafés and restaurants|South American supermarkets | butchers | fresh fruit and vegetables | household goods and hardware | travel agency and parcel forwarding | money transfer agents | internet Cafes | legal advice services | ladies and gents hairdressing | beauty treatments | clothing, fashion accessories and textiles. The market is next to Seven Sisters underground Station, 231-243 High Road,N15 5BT. They are open Monday - Thursday: 9.00am-7.00pm and Friday and Saturday: 9.00am-8.00pm. On Sunday the Market Hall is closed but the Café and shops fronting High Road are open. For more information visit the Seven Sisters Market website (external link).